Recently, I had a good chat with a fellow entrepreneur. She is a seamstress and makes custom draperies and other lovely sewn goods. We got to talking about business matters and she was contemplating the idea of having a space in an antique market. 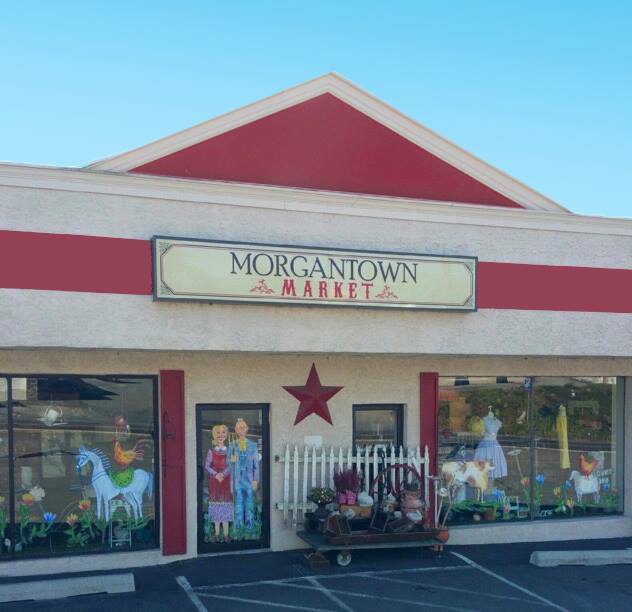 It got me thinking about my own experience so far at Morgantown Market, which is where I have a booth. I thought I would share bits of our conversation with you in the event you are contemplating the same decision. Keep in mind that I’m still young in the process, but these are my impressions so far. Most antique markets have at least 10 vendors or so. Some are HUGE and can have upwards of 100 or more vendors. Now while some may see that as competition, I see it as a huge collaboration opportunity. You basically have an entire audience to ask any question you want. There’s usually a tool guy and he can teach you all about craftsmanship and quality of handmade tools. The bottle guy can show you how to tell a factory made bottle from a hand-blown one. 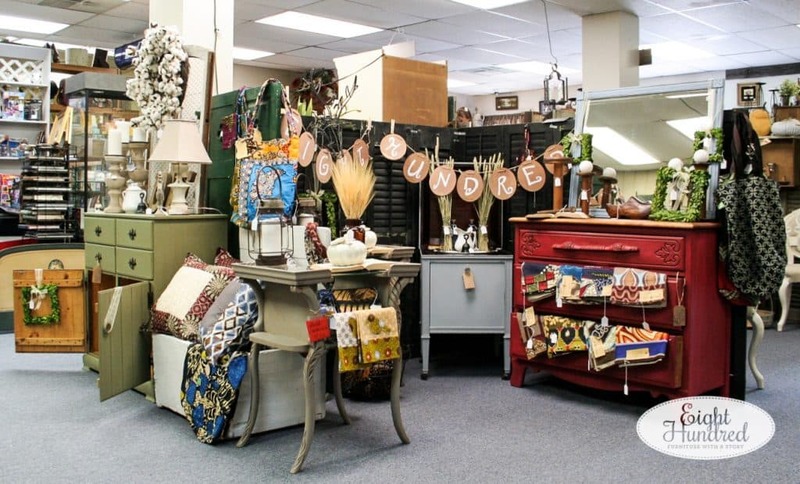 The linen lady can tell you all about homespun goods and show you the value in hand-embroidered towels. Everyone is good at something and you essentially have a huge creative community right at your fingertips. 2. It’s a great way to try out selling your goods in an organized fashion. 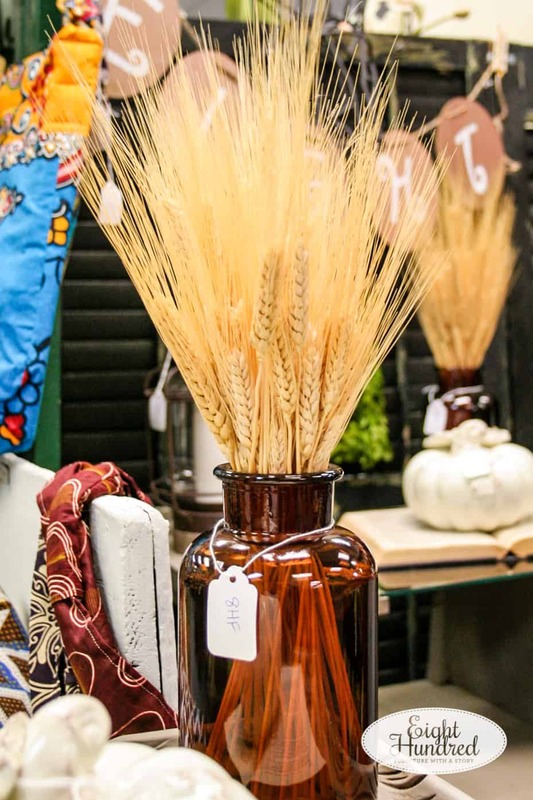 If you have never sold in a brick-and-mortar location, having a booth in an antique market is a great way to test the waters. If you dream of owning a shop one day, you can learn the in’s and out’s of running a business. What does it take on a day-to-day basis? You can experience the world of retail without having to purchase or lease a building and take on the full risk. Usually you have to pay rent on your space and it’s dependent upon square footage. 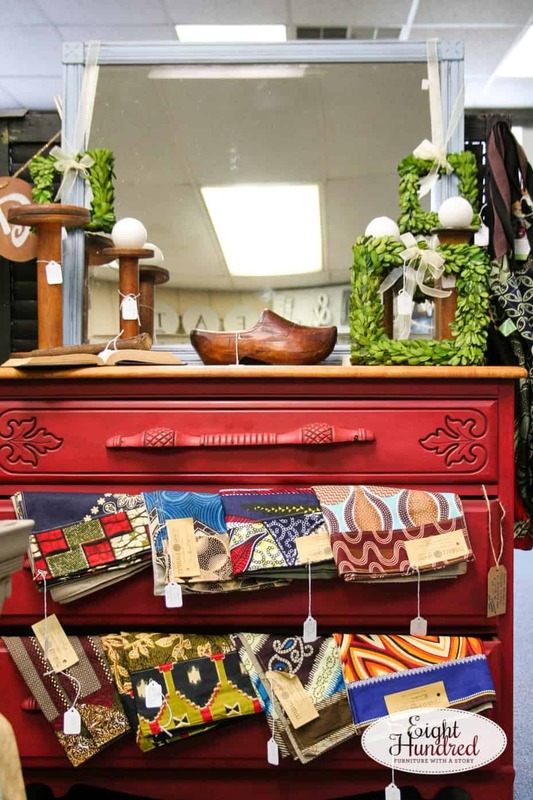 Most antique markets charge a flat rate by the square foot. Prices may be higher in exchange for a premium location (upstairs versus downstairs). Some business require you to volunteer a day or two in addition to paying your rent. There is also usually some kind of percentage that is taken out of each sale that goes to the house. This typically covers the cost of bags, tissue paper, wrapping paper, tape, signs, etc. Contrast this with consignment. When your piece sells, a larger percentage gets taken out. Sometimes it’s 50/50, 60/40, 70/30, etc. The consigner (you) gets the higher amount. You’ll need to decide if paying rent is a better financial deal compared to losing a larger percent per piece. I do both and I’m still determining which setting is best for me. Right now, I like being in both and I’m selling in each. The good news is that in either place, you don’t have to incur the cost of electricity, water, bathrooms, building codes, working regular hours, advertising (sometimes), etc. Basically, you supply the stuff, they supply the place. 4. You can get lots of suggestions and help from others vendors and the owner. If you’re brand new to selling (which I am), you’re going to make mistakes. It’s inevitable. You’re going to either overload your space, have things in the wrong spot, overcharge, undercharge, or otherwise hurt your chances of making a sale. Folks will offer you advice and it’s always good to heed what they say. They know the local market and demographic. Take this dresser as an example. I had so much stuff on and in it that you couldn’t see how beautiful it was. A fellow dealer suggested that I take away some of the little things so shoppers could see the details on the front. Most vendors offer discounts to other vendors. They can range from 5% – 15% depending on their policy. It’s up to you if you want to offer this to other vendors, but it’s good nature to do so. Some vendors are also more inclined to work with you on a price that may be too high. It never hurts to ask. Others may be more firm and not wiggle at all, but think about Christmas shopping with a discount! 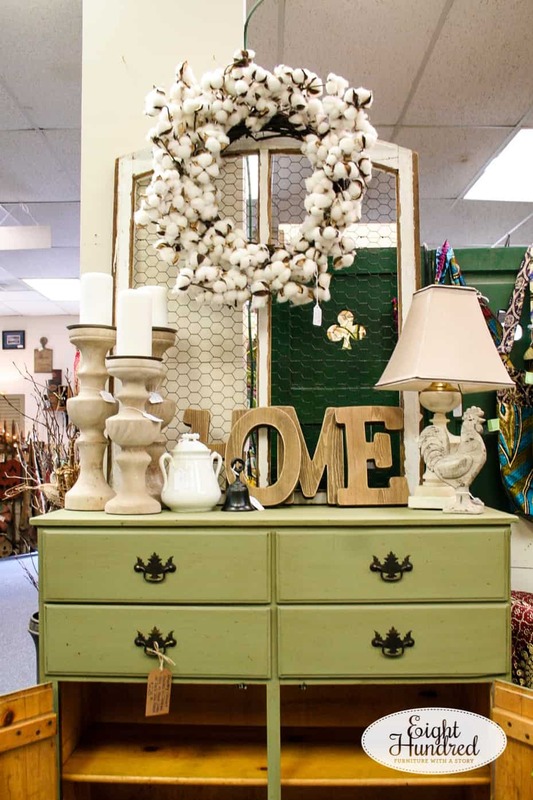 Every antique market is different, but in those around my area in Southeastern PA, there is no obligation to sign a lease for 3, 6, 9, or 12 months at a time. You rent your space month-to-month and if things aren’t going well, you simply don’t renew your lease for the coming month and pull out. It’s a low-risk way of trying your hand at retail. If it’s not profitable, just pack it up. Is the store well-lit and clean? Is the owner friendly and kind? Do they seem like they will support you in your efforts? What do current vendors report? Do you see cars out front when you drive by on a regular basis? Do they have regular, predictable hours? Most importantly, would you shop there? If you wouldn’t frequent the establishment as a customer, you probably won’t like it as a vendor. I know that I’m still a novice, but I have learned all of these things along the way. I hope my tips and insights help you in your decision to possibly start renting a space. 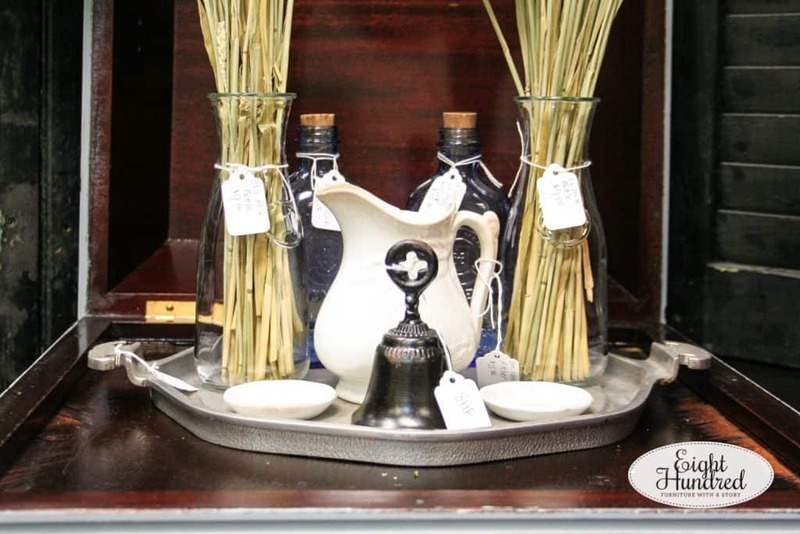 I know I am so blessed to be a member of the antique market family!